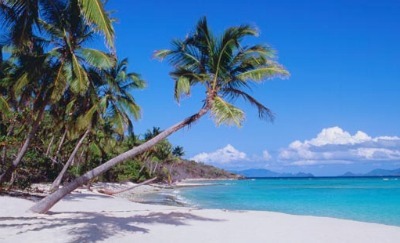 St. Thomas is one of four major islands that make up what is called the US Virgin Islands (USVI). 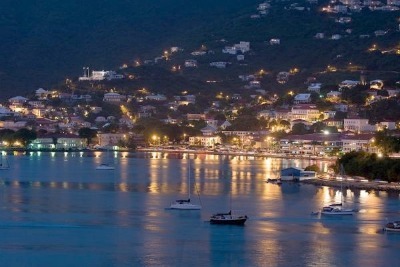 The capital of USVI is Charlotte Amalie and it is located on St. Thomas island. The population of St. Thomas is around 51,000 and it makes up almost half the population of all the US Virgin Islands combined. St. Thomas has a wonderful historic district, sunny beaches, unique culture shops, museums, gardens and a variety of restaurants to choose from. It's a highly attracted tourist island, visited by individuals, groups and families from US and all over the world. The cruise ship that visits St. Thomas will either dock at Havensight or Crown Bay. Havensight is the first choice, but ships may dock at Crown Bay as well. If there are already 6 cruise ships docked in St. Thomas, which may happen from time to time, your ship may be anchored in the harbor. In that case, you'll be transferred to the center of Charlotte Amalie, from which you can start exploring all that St. Thomas has to offer. There are many historic sites and beautiful beaches to visit while at St. Thomas. Walking around is a great way to experience the island and take in the beautiful surroundings. 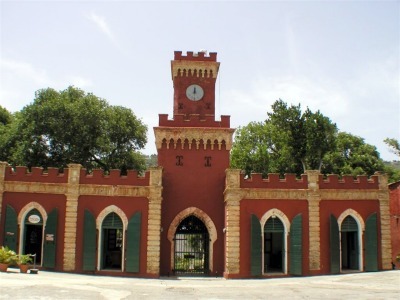 Fort Christian at Charlotte Amalie is a historic site that allows visitors to climb its tower to get a great view of the city. Haagensen House is a museum and garden site that also has an antique store. Coral World, a marine park, can be enjoyed by people of all ages. There are also many shopping malls and stores where you can buy all kinds of souvenirs. 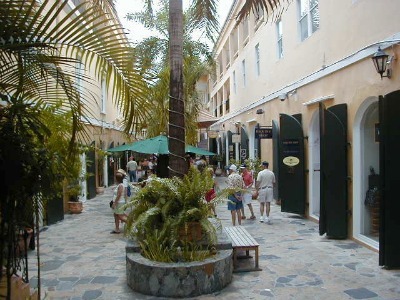 In fact, shopping is a very popular activity in St. Thomas because most of the purchases are duty-free. There are many restaurants located on St. Thomas Island. Cuzzin's Caribbean, Cafe Amic, Gladys', Greenhouse Bar and Restaurant, Virgilio's, Marisol, Herve Restaurant and Wine Bar and Craig and Sally's are a few places that people often rave about. They include Italian, Middle Eastern, American and Indian cuisines. The variety of restaurants allows visitors to have a great selection of dining experiences. The wine menu is also extensive, making it a pleasurable experience for couples and groups. Unlike the rest of the United States, drivers must drive on the left side of the road. However, it may be slightly confusing because cars exported to the US Virgin Islands have the standard steering column on the left side. If travelers are not interested in driving themselves, the cheapest transportation in St. Thomas is the use of the open air cabs, or safaris. They cost only one dollar and pass by drop off locations every five or ten minutes. Taxi cabs for local destinations are rare, but there are shuttle vans that charge from three to five dollars from town to town. Renting a car can be cheaper for family vacations; they start at around 35 dollars a day. The average temperature in St. Thomas is in the high 80s and low 90s, which makes it a wonderful destination spot to visit all year round. Since St. Thomas is a US territory, the official language is English and the currency is the US dollar. Should you want to use the Internet, you'll find many internet cafes in the center of Charlotte Amalie. One of the more popular ones is the Beans, Bytes and Websites Cafe located in Royal Dane Mall. The beautiful St. Thomas harbor. The beach. Shouldn't you go there? Fort Christian was constructed by the Danish Government in the 1600s. Shopping is a big part of Charlotte Amalie's experience.